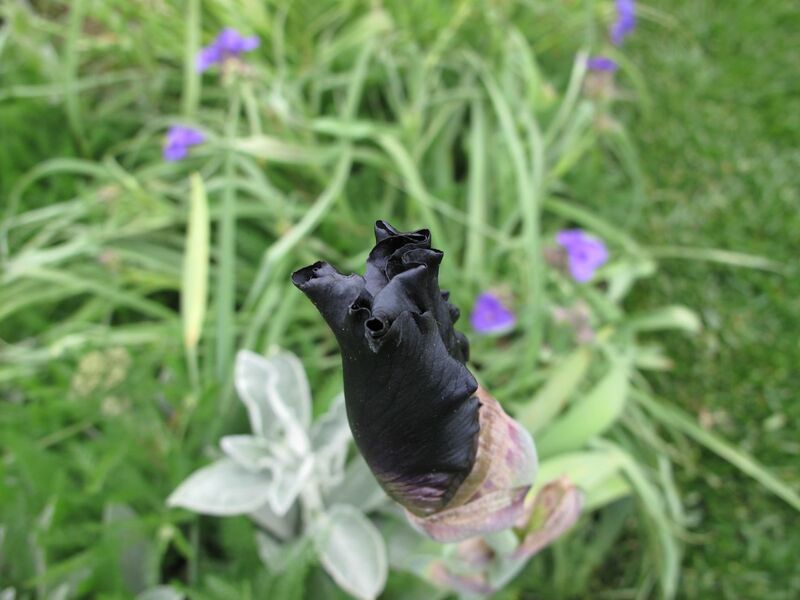 This iris in bud is nearly black, but once opened displays a very deep purple-black. 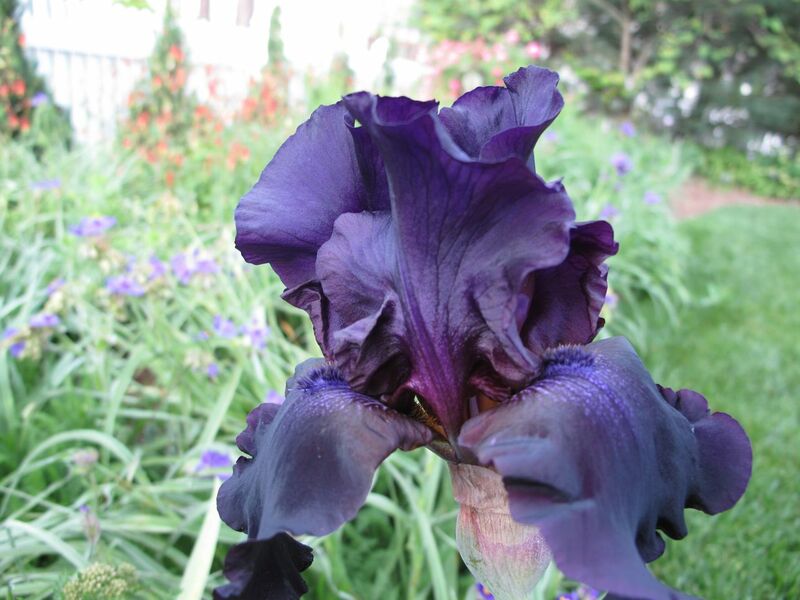 The actual color on the open flower is distinctly darker than photographs captured in today’s early morning light. 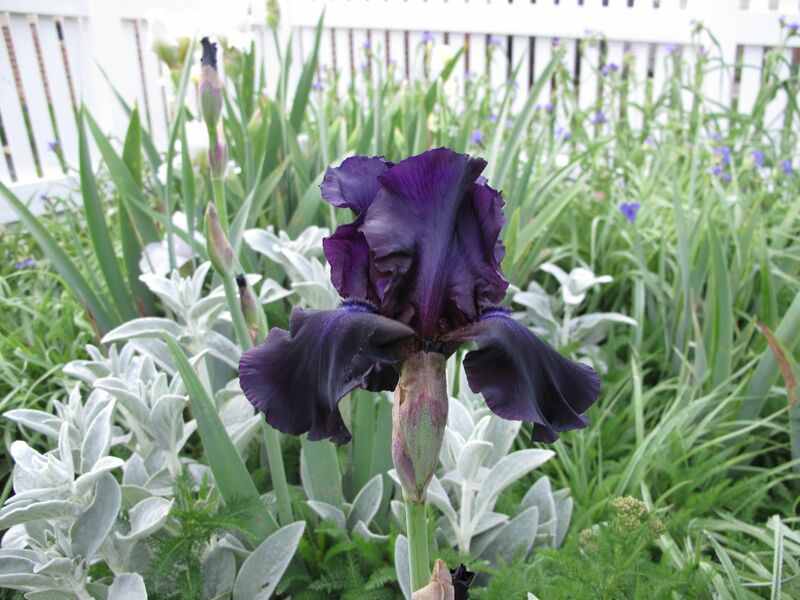 This iris is a pass-along plant. 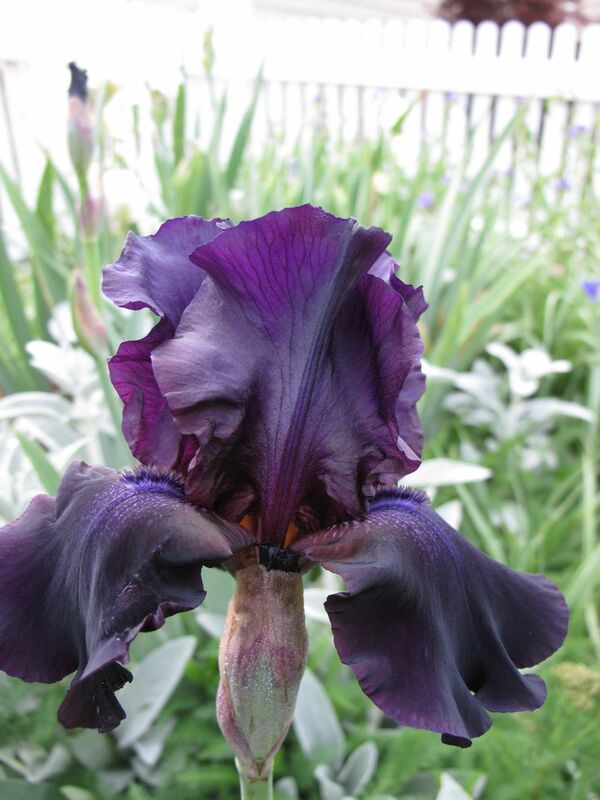 It is blooming this year for the first time and makes the gardener happy. 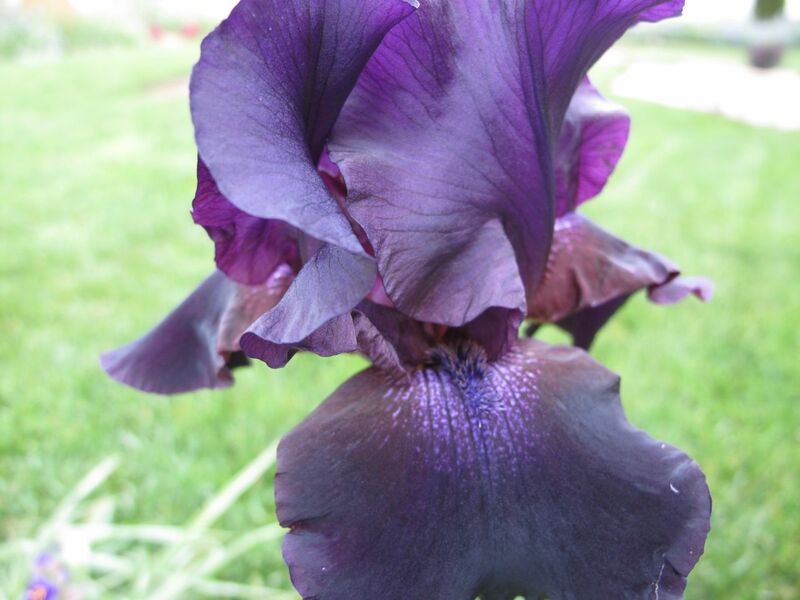 This entry was posted in garden and tagged Bearded Iris, pass-along plant on April 21, 2012 by pbmgarden. 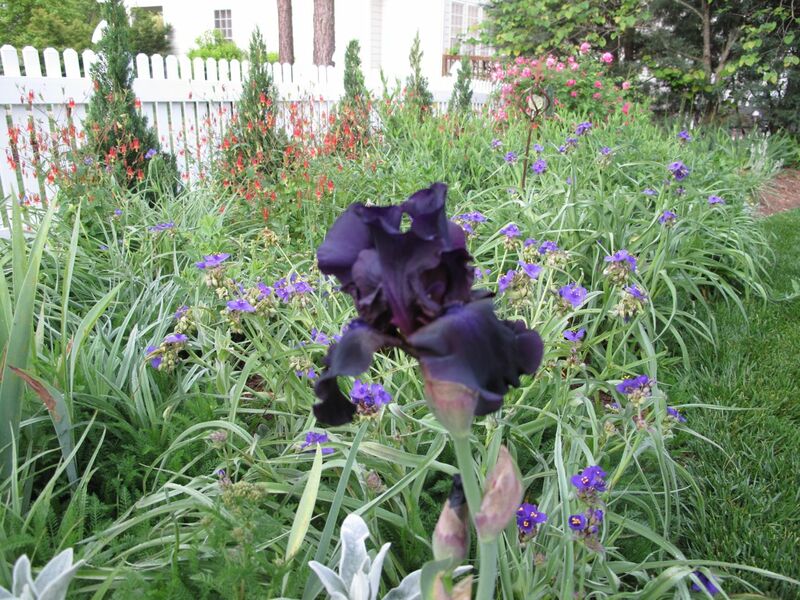 I really like the flower bed where your iris lives. Very nice combinations. Your photos are very stunning too. Thanks very much. That bed is full of fairly aggressive plants the I’m always threatening to deal with firmly, but once they start blooming I just let them go. Thanks for taking time to comment. Thanks. I’m excited about it, as previously only the white ones of that group had bloomed. Thanks for your nice comments Christina. I like to use silver plants–this one is Stachys byzantina (Lamb’s Ear). I’ve had to pull out lots of it this spring. There is also Lychnis coronaria (Rose Campion) in that same area. 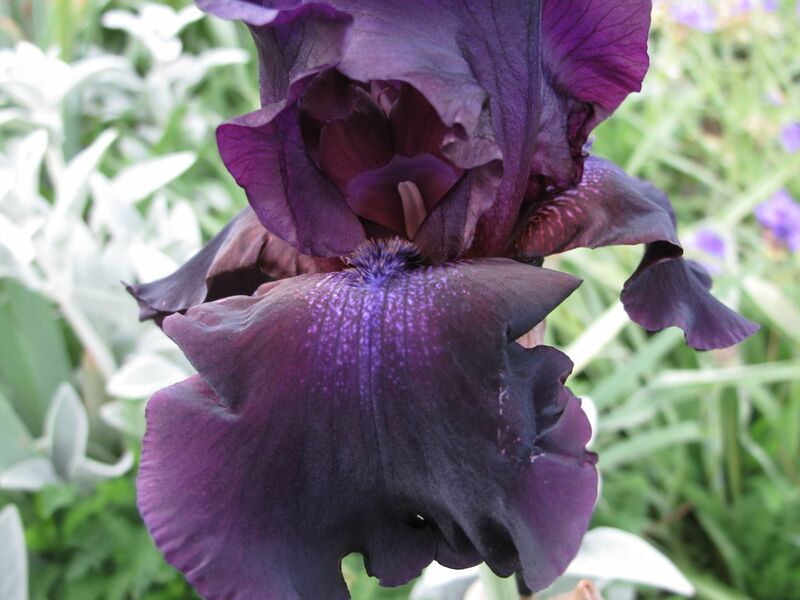 Thanks so much for showing your black iris as it opens into an utterly stunning flower. I’m so happy to get to share it.